Joseph Hodges Choate was a popular lawyer in New York in the late 1800s. Choate distinguished himself by his exceptional career before the bar, his accomplishments as ambassador to the Court of St. James's (an ambassador to England), his dedication to public service, and his sharp wit and clever after-dinner speeches. Choate was born January 24, 1832, in Salem, Massachusetts, the fifth of six children and the youngest of four boys in a family with an established heritage. His father, Dr. George Choate, was a graduate of Harvard University and Harvard Medical School and was one of Salem's most distinguished physicians. Choate was also the cousin of Congressman Rufus Choate, who was just beginning his second term when Choate was born. Continuing the family tradition, Choate attended Harvard with his three brothers. He went on to Harvard Law School, graduating in 1855. Choate then left New England to pursue a career in New York. With the help of a letter from Rufus Choate to william m. evarts (who would become Secretary of State for President rutherford b. hayes from 1877 to 1881), Choate joined the law office of Butler, Evarts, and Southmayd. Choate's skills as an orator made him a formidable litigator. He appeared in hundreds of cases covering a wide range of controversies. One of the most notorious of these cases was the prosecution of William Marcy ("Boss") Tweed. Tweed, elected to the New York State Senate in 1868, headed Tammany Hall, a corrupt political organization in New York City that was controlled by the Democratic Party. In 1871 Choate was appointed to the committee that eventually charged Tweed with embezzling funds from the city treasury. "Law is the expression and the perfection of common sense." Many of Choate's cases involved matters of national importance and were appealed to the U.S. Supreme Court. Choate unsuccessfully fought Kansas's liquor prohibition in Mugler v. Kansas, 123 U.S. 623, 8 S. Ct. 273, 31 L. Ed. 205 (1887), and anti-Chinese legislation in Fong v. United States, 149 U.S. 698, 13 S. Ct. 1016, 37 L. Ed. 905 (1893). He successfully appealed claims of certain Native Americans that the government had reneged on a treaty and deprived them of their land in New York Indians v. United States, 170 U.S. 1, 18 S. Ct. 531, 42 L. Ed. 927 (1898). In the landmark case pollock v. farmers' loan & trust co., 157 U.S. 429, 15 S. Ct. 673, 39 L. Ed. 759 (1895), reh'g granted, 158 U.S. 601, 15 S. Ct. 912, 39 L. Ed. 1108 (1895), overruled by South Carolina v. Baker, 485 U.S. 505, 108 S. Ct. 1355, 99 L. Ed. 2d 592 (1988), Choate won a constitutional challenge to an Income Tax act of 1894. In his winning argument, Choate said, "The act … is communistic in its purposes and tendencies, and is defended here upon principles as communistic, socialistic—what should I call them—populistic as ever have been addressed to any political assembly in the world." 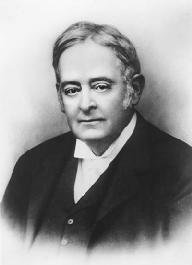 Choate's prominence as an attorney attracted the attention of the White House and in January 1899, President William McKinley appointed Choate ambassador to the Court of St. James's, in England. As ambassador Choate negotiated the Hay-Pauncefote Treaty, which allowed the U.S. government to build and operate the Panama Canal. Choate was also instrumental in gaining an "open door" to China, and he resolved a controversy over Samoa with Germany and the United Kingdom. In 1907 Choate headed the delegation from the United States at the International Peace Conference at The Hague. Choate supported many charitable causes. He was president of the New York State Charities Aid Association and of the Association of the Blind. Choate was a member of the Provisional Committee of 1869 which was appointed to establish the Metropolitan Museum of Art. He continued his relationship with the museum as one of its incorporators and as a member of the executive committee of the board of trustees. He was also an incorporator and officer of the Museum of Natural History. Choate's successes were due in part to his talents as a public speaker. His keen intellect and engaging speaking style combined with his sense of humor to captivate audiences. No lawyer of the New York bar was in as much demand at public functions. He had speaking engagements before the New England Society, the Union League Club, and the Century Association before and during his presidency of these societies, at dinners and receptions of the bar association, and at innumerable philanthropic events. Shortly after Choate had passed his eighty-fifth birthday he was appointed chairman of a committee of citizens to receive French and British commissioners on a visit to the United States. He was in poor health but he survived long enough to fulfill his duties. Choate died May 14, 1917, in New York City. To be a priest… in the temple of justice, to serve at her altar and aid in her administration, to maintain and defend those inalienable rights of life, liberty, and property upon which the safety of society depends, to succor the oppressed and to defend the innocent, to maintain constitutional rights against all violations, … to rescue the scapegoat and restore him to his proper place in the world—all this seemed to me to furnish a field worthy of any man's ambition. Hicks, Frederick C., ed. 1926. Arguments and Addresses of Joseph Hodges Choate. Lasson, Kenneth. "Lawyering Askew: Excesses in the Pursuit of Fees and Justice." Boston University Law Review 74. Martin, Edward S. 1921. The Life of Joseph Hodges Choate. Vols. 1 and 2. New York: Scribner. Simmons, Daniel L. 1987. "The Tax Reform Act of 1986: An Overview." Brigham Young University Law Review. Strong, Theron G. 1917. Joseph Choate: New Englander, New Yorker, Lawyer, Ambassador. New York: Dodd, Mead.